i think i have been working on this for about five years. my goodness, this has been a process. not for sale yet: soooo close. need some help making a PCB circuit to make this easier to produce. 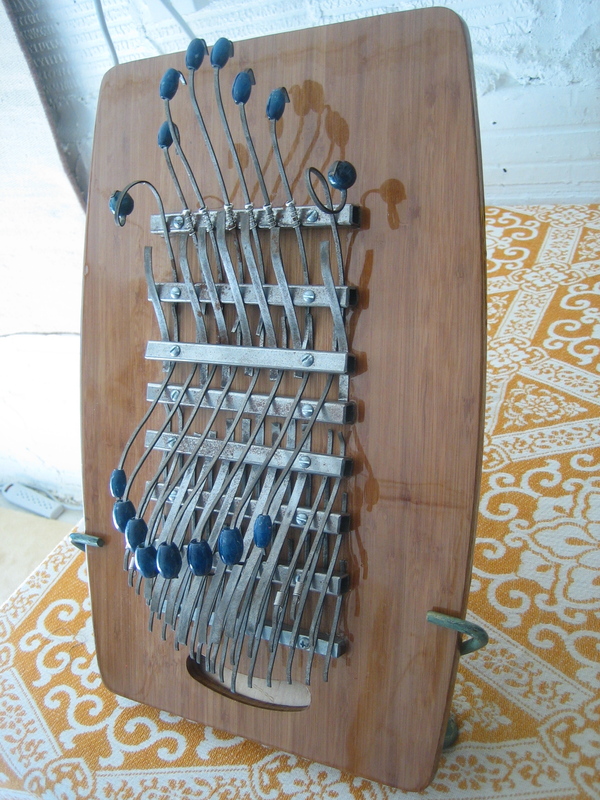 years of prototyping and mistakes and trial and error and error and success and error made this beast what it is. oh, you know how to make circuit boards and want to join me? 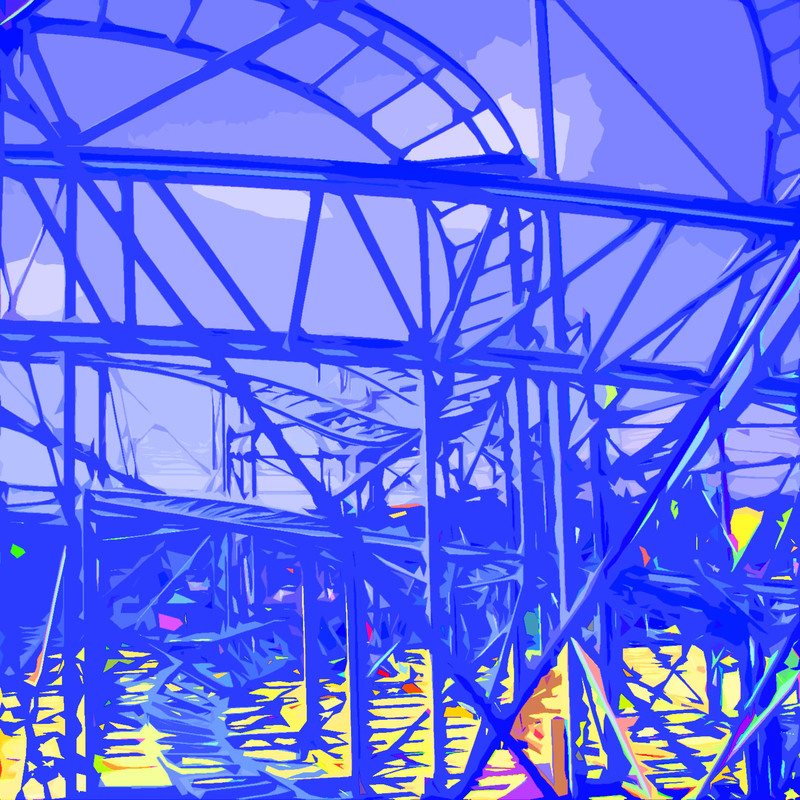 coloringpad@gmail.org. i’m in. 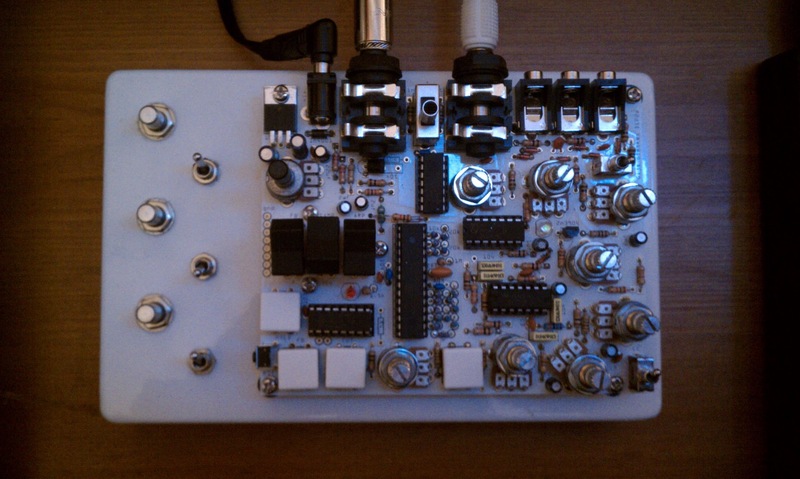 the DEP2A is a digital delay and pitch shifter by Gijs Gieskes of the Netherlands. his creations are unique, beautiful circuit board structures that defy enclosures. 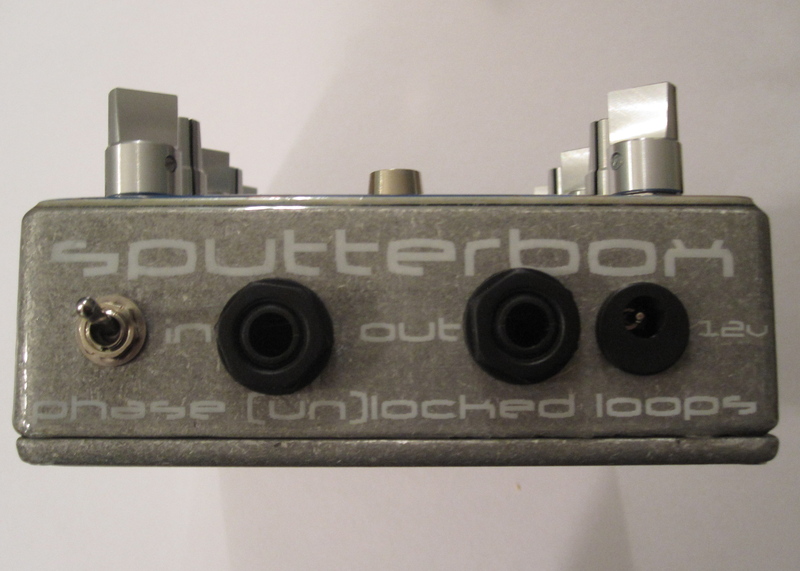 a gorgeous piece of circuitry, the most unique part of his delay is how it will hold the incoming sample segment infinitely until it is triggered again, creating stuttering complexities and glitches. 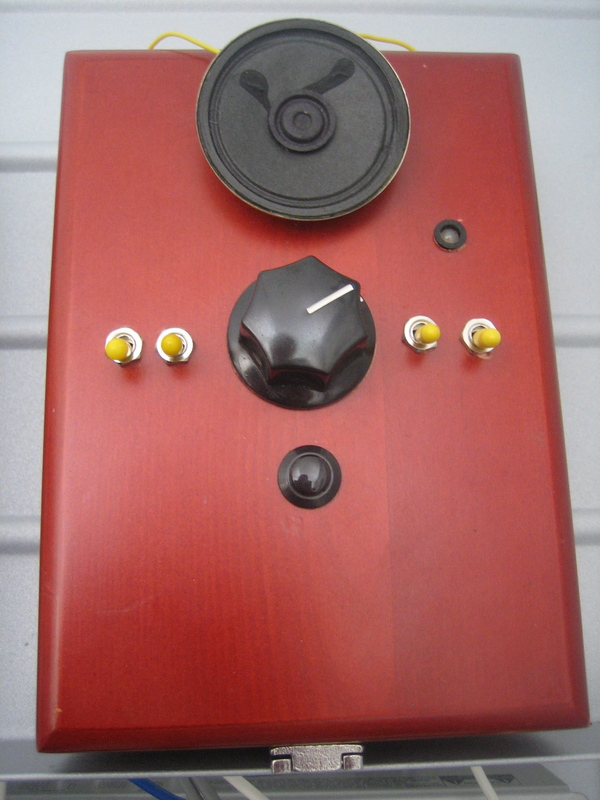 i mounted mine on the outside of the enclosure, and added three knobs and three switches to expand the circuit. the knobs add glitchy distortion, more tweakability in the sample rate/divide (with a switch to toggle it on), and a blend between normal and reverse modes. there are two switches that mute the mix input for 100% wet signal (always on for me!) and mute the incoming input for incoming audio for infinite fun. The push.pull pedal is a synth effect based upon the PLL (Phase Locked Loop) IC, in which the PLL has been “unlocked” and let loose through 16 knobs, a joystick, switches, and a light controlled filter. It is hard to describe the sounds I have already heard: distorted, glitchy, fuzz, bass synth, drone, full of clicks, 8 bit, and erratic synthetic hyperdrive. 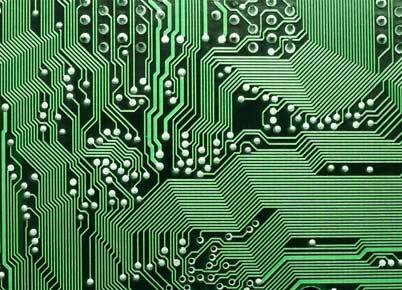 Surface constructed from recycled circuit board. 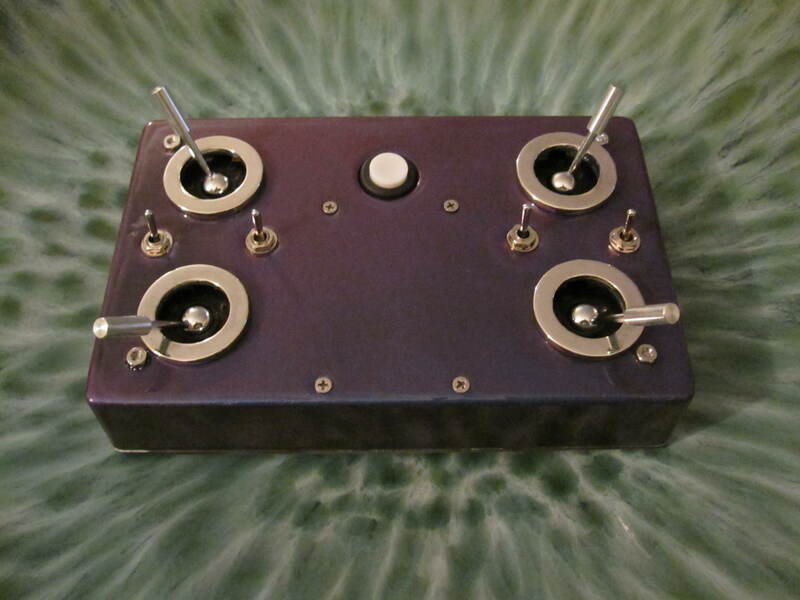 The push.pull pedal is a synth effect based upon the PLL (Phase Locked Loop) IC, in which the PLL has been “unlocked” and let loose through 4 joysticks, switches, and an unlock led button. Distorted, glitchy, fuzz, bass synth, drone, full of clicks, 8 bit, and erratic synthetic hyperdrive. 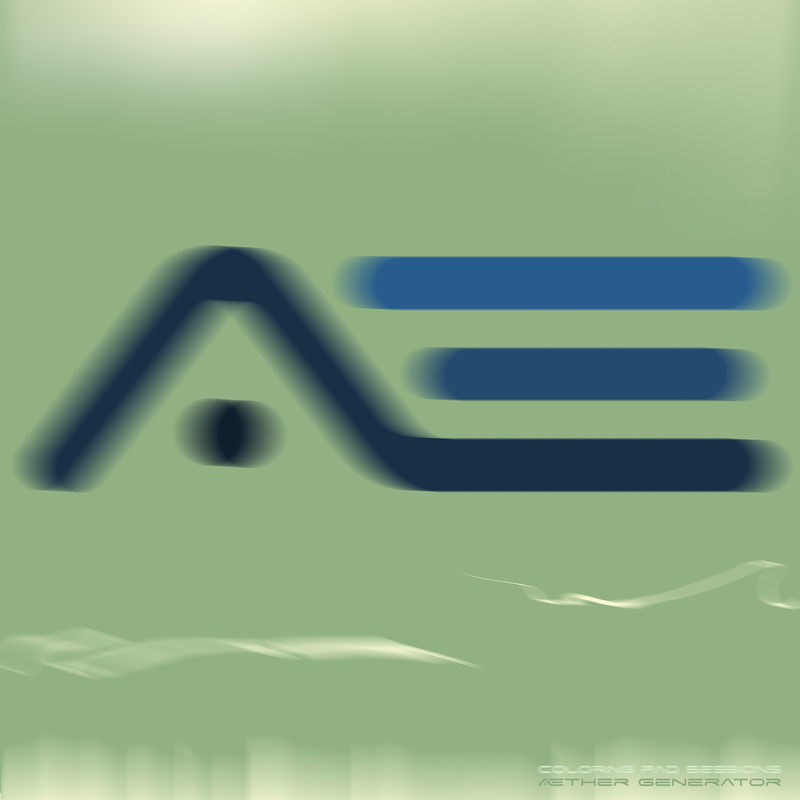 the end of your audio is saturated in tails of sputtering electricity sounds. when a combination of knobs are turned up into inaudibly high frequencies, it self-oscillates in unusual ways, often only when an audible signal is not present. 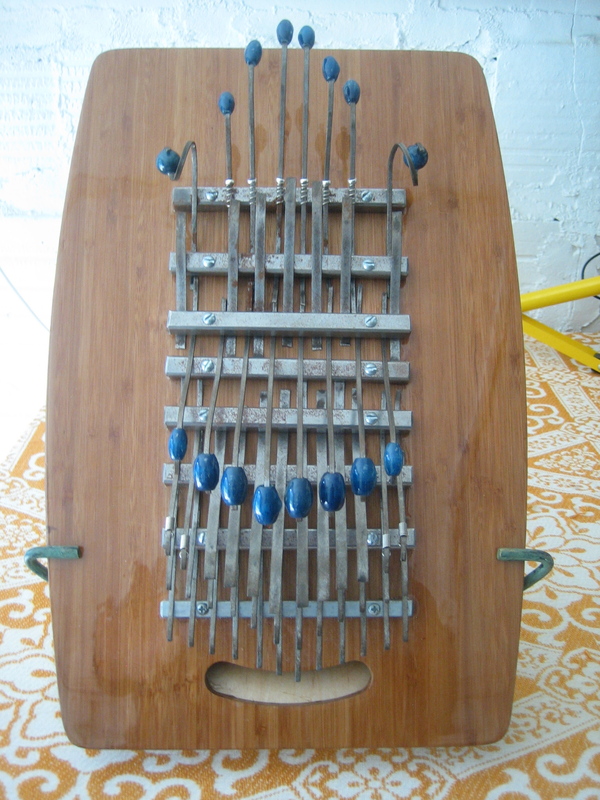 This unique self-oscillation can cause frequencies to pulse in the absences, creating synthetic pulses when applied to rhythms. 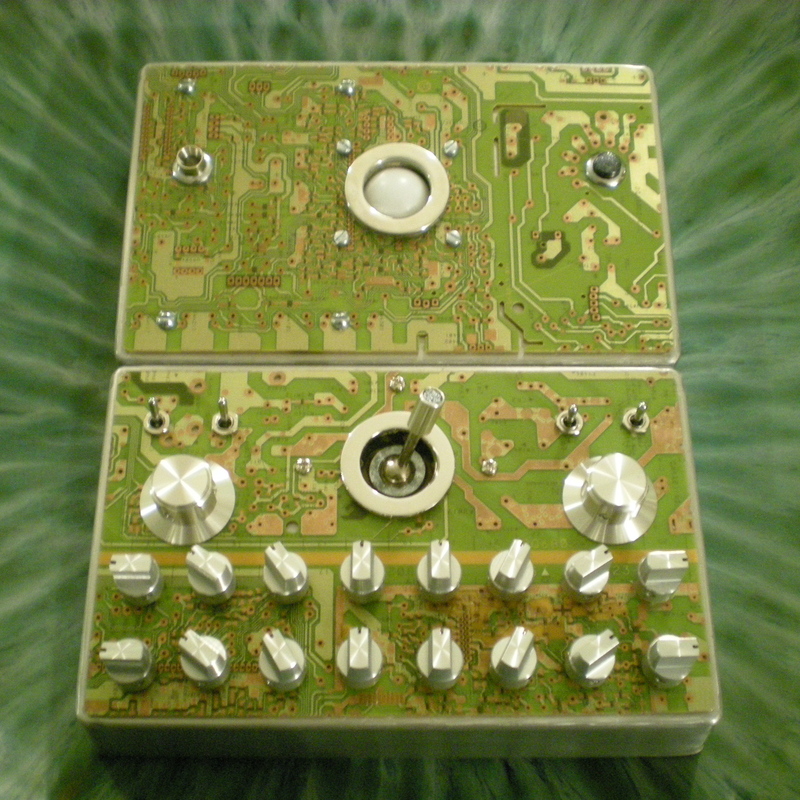 when a combination of knobs are turned down to droning audible frequencies, it acts like an Atari Punk Console with frequencies only modified by the incoming signal. 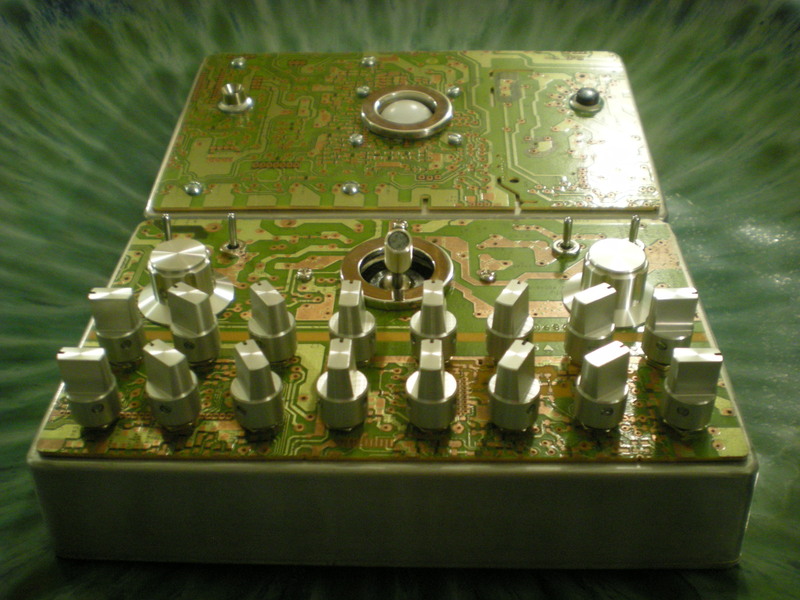 The push.pull pedal is a synth effect based upon the PLL (Phase Locked Loop) IC, in which the PLL has been “unlocked” and let loose through 10 knobs. 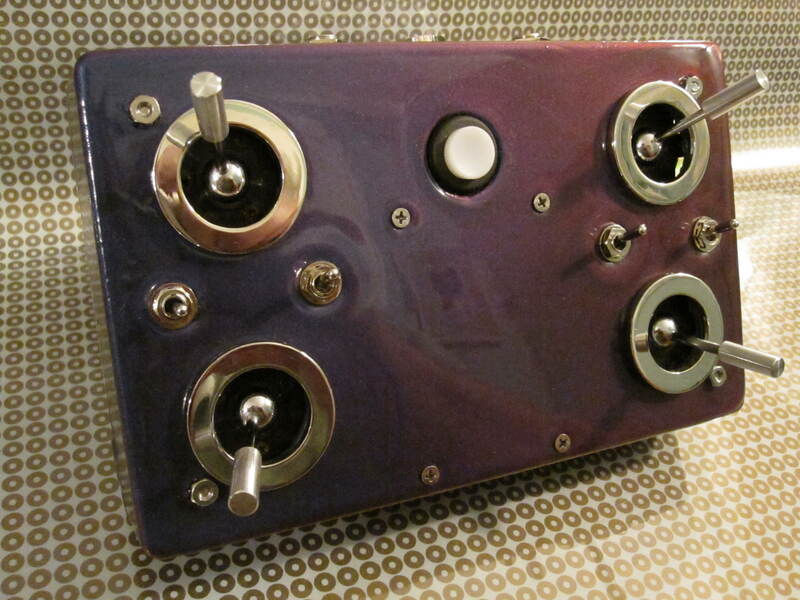 i had attempted to make the push.pull and push.pull spectrum for sale to the public. 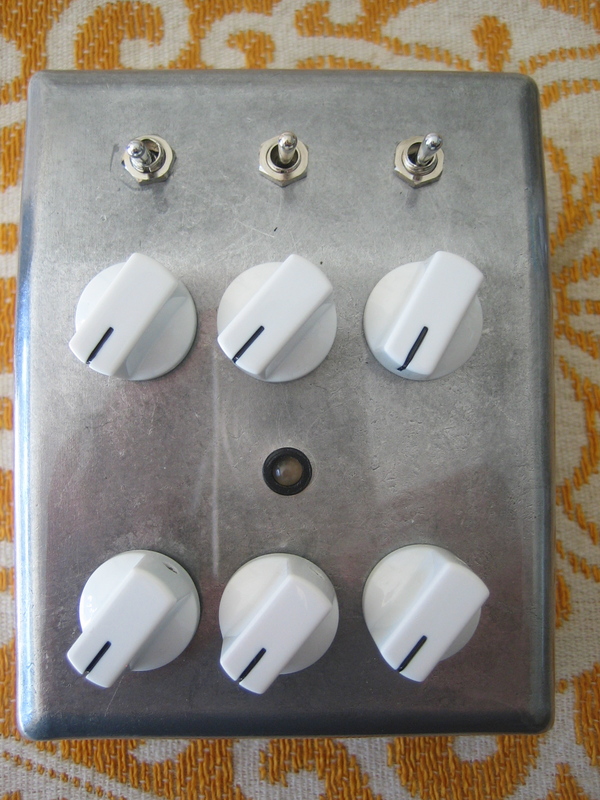 i had picked a very large (an expensive) pedal to manufacture with lots of parts that were difficult to find. 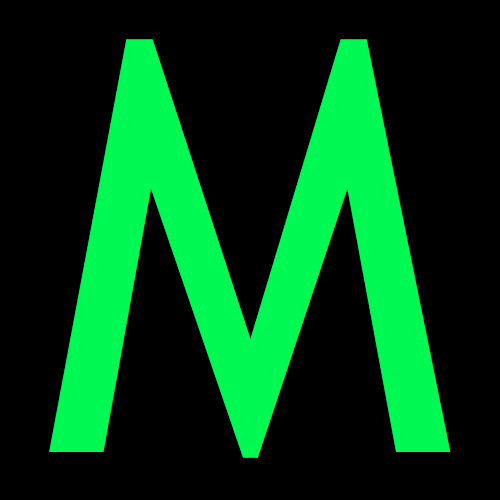 i sought funding through kickstarter and lost. i had promised to make these pedals to a few people regardless of funds, but the list of “things that keep me from doing things” for manufacturing these particular pedals would make the process a risky maneuver, and i want users to be happy. 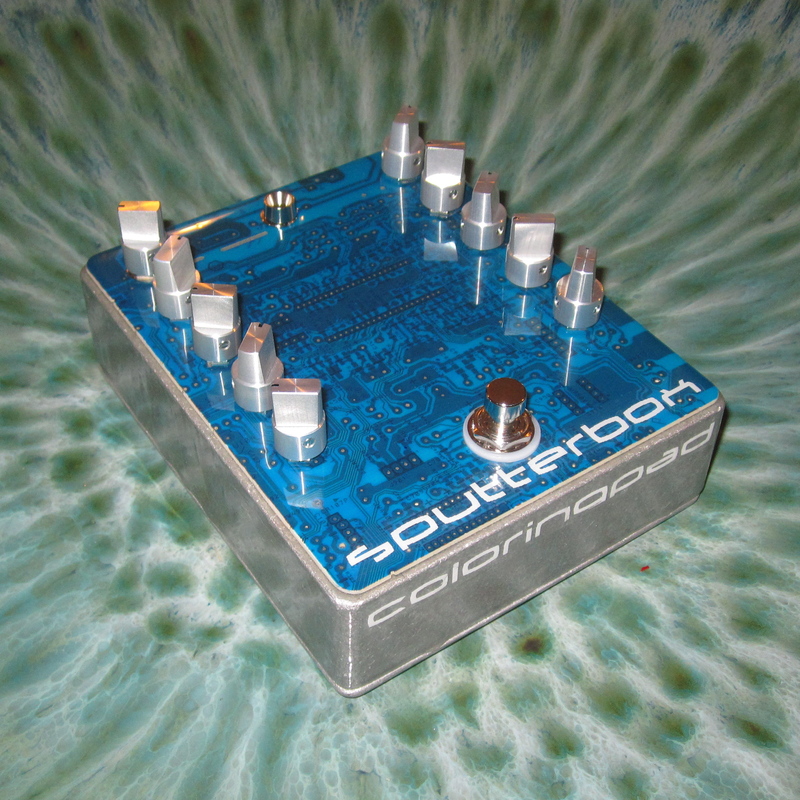 the sputterbox is very close to emerging as my first true entry into the shoegazer market. it sounds so much better than my first two. basically, i kept to the philosophy (in tweaking the previous design) to make sure it had the widest variance i could achieve in the pll circuit for each knob without compromising the original sputter that i fell in love with in the first place. since joysticks pretty much are only available in 100k, the long and painful decision to remove the idea of joysticks finally came to be. trust me, the artist inside me resisted this for about a year. 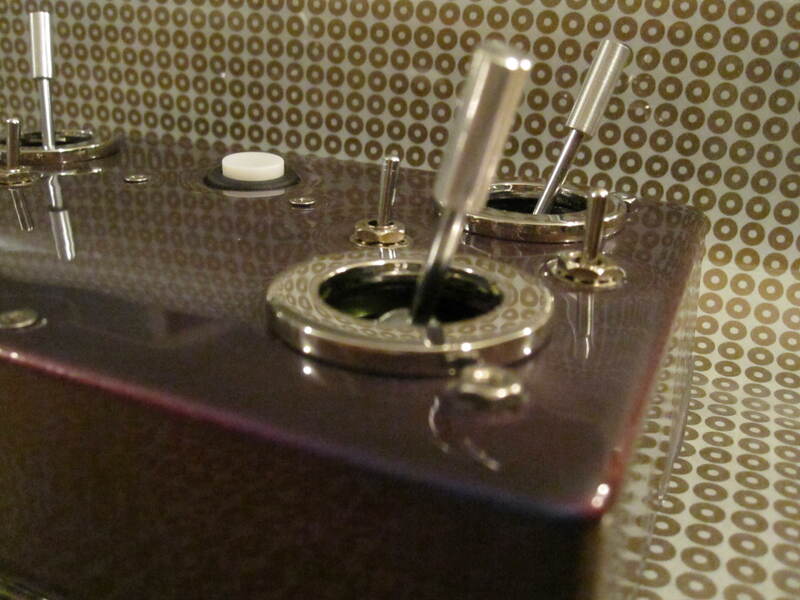 i seriously would spend nights concocting notions of paying for custom joysticks though my non-money, and still be able to fit sixteen aluminum knobs into the budget. wondering where to get the recycled circuit board was also a favorite topic of avoidance. the PCB: i am still working off stock PCB’s from RS that resemble my breadboard. i still am not able to make my own or design one in EagleCAD (yet) that i can confidently say will arrive not looking like a noob had designed it. 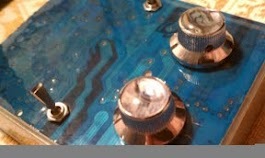 although having an official rock-solid PCB is not a concern to some, most would like the innards of the pedal to resemble professional wiring and solid pretty green and copper circuit design. i need a pal. the funds to do 1 and 2.
what does a guitar or bass sound like through this? i wouldn’t know. 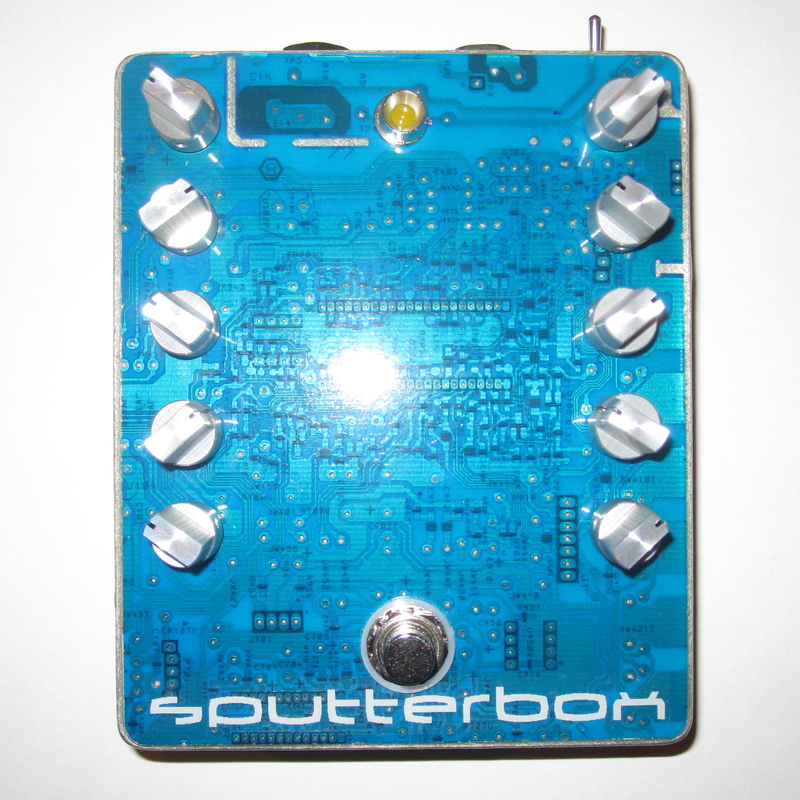 does the pedal play well with others? i have a lot of friends it can play with! 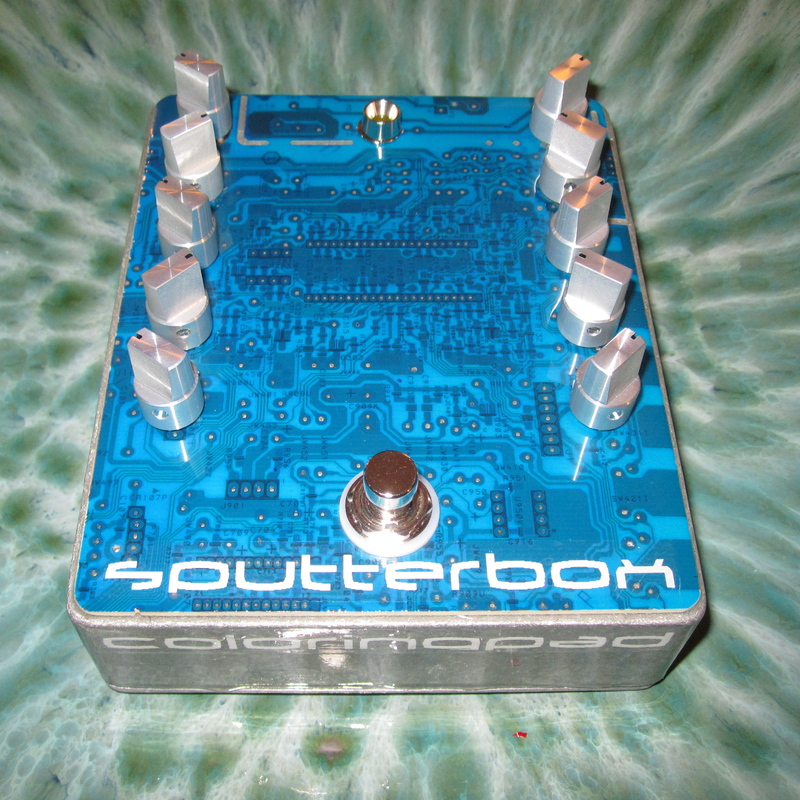 that a partner-in-crime emerges: someone who digs the idea of making these pedals but really knows the details of circuitry and PCB’s. 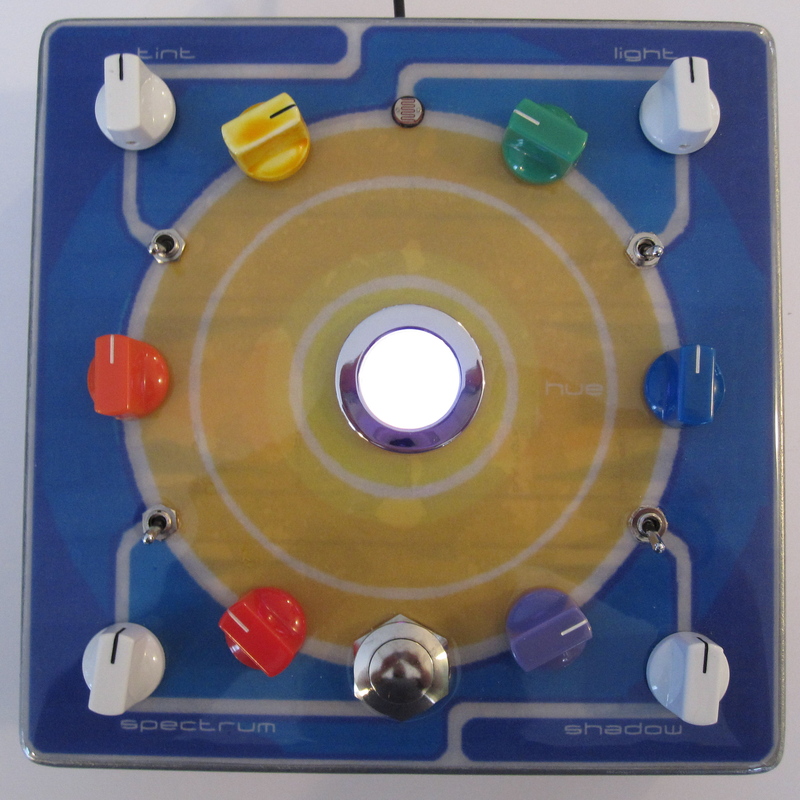 that someone who want to hire me to design the look of their pedals: electro-harmonix, i’m looking at you. 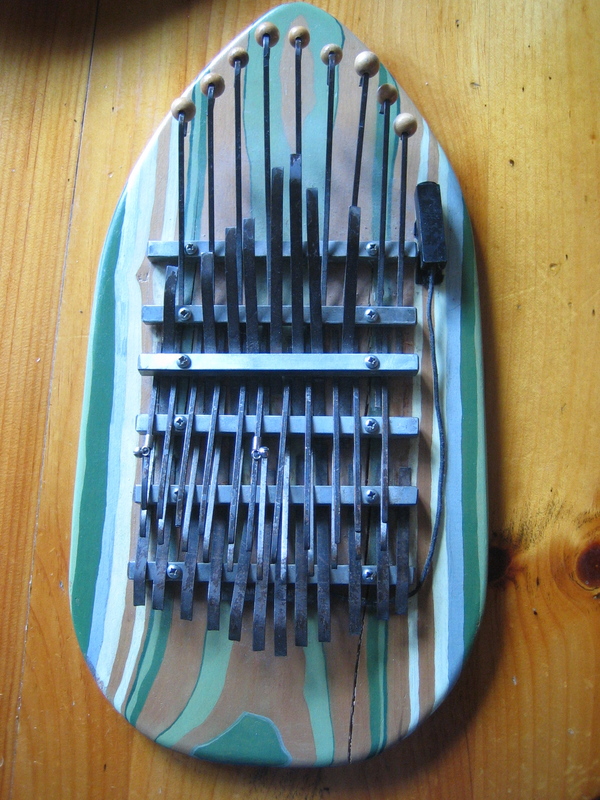 a favorite instrument of mine: i wanted the most outrageous kalimba ever, so after many, many different designs, versions and failures, i came to create this. 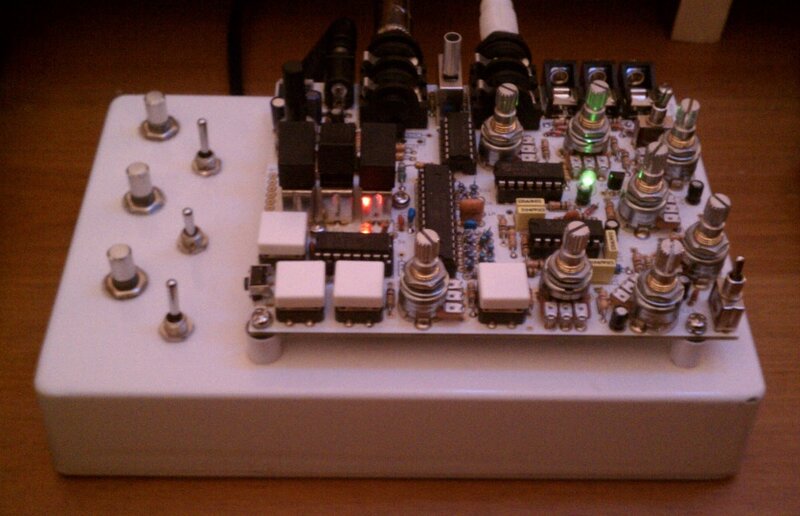 Another dual APC with light modulation and a stereo ring modulator. 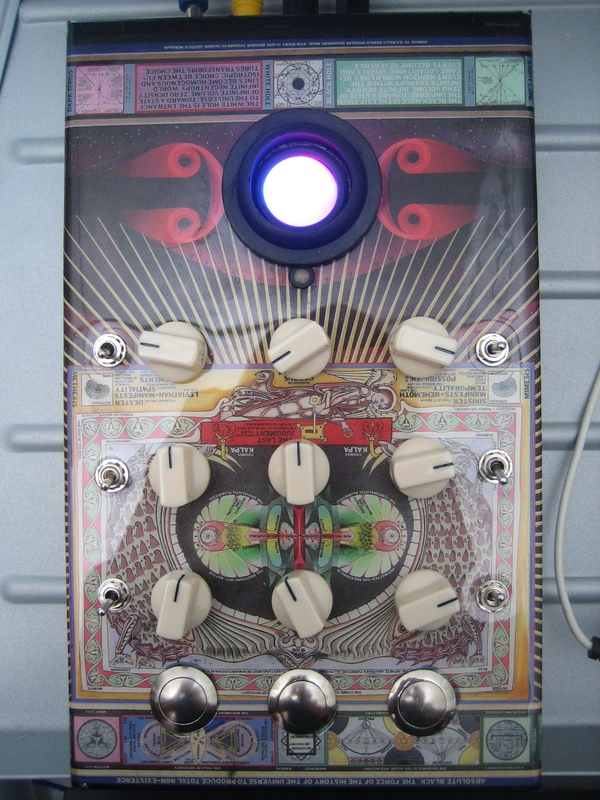 An atari punk console to the extreme: The psychotronic generator is a ridiculous noise box. I have had people ask what it can do for psychotronic generation, and how it may help them: nice. It is decorated with the art of Paul Laffoley, a favorite artist of mine, and the psychotronic generator is mentioned in the text of the piece. What would you ask in return to build me a modified glitched DEP2a like this?